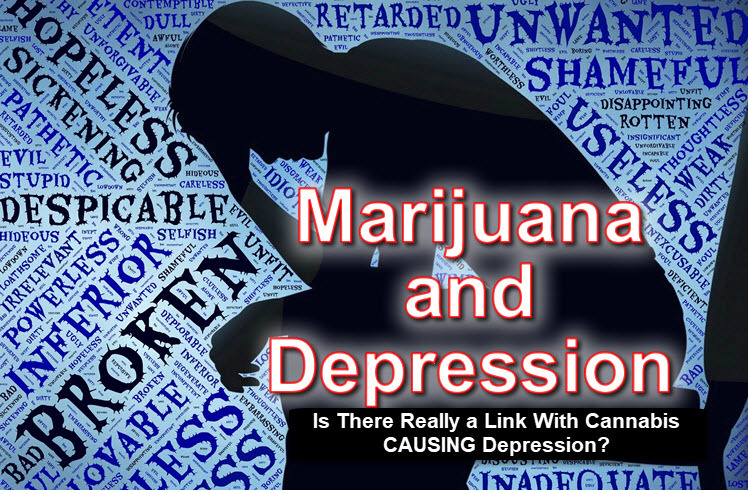 Home Marijuana News Is There Really a Link With Cannabis CAUSING Depression? Is There Really a Link With Cannabis CAUSING Depression? Recently an article published on Live Science talks about a study linking heavy cannabis use to depression that was presented at the annual Association for Psychological Studies in San Francisco. Essentially, the study took two groups of participants [46 heavy cannabis users and 51 non-cannabis users] and made them recall three pleasant and three unpleasant memories. Sub sequentially, they had to write out the experience and rate it from 1 to 10 in relation to the intensity of the emotion. According to the study, cannabis users were ‘holding on’ to negative experience longer than non-cannabis users. They also found that cannabis users recalled in more general terms as opposed to non-cannabis users. For example, “I went on vacation” vs “I went to the beach”. However, the fact that the study only took 91 people from a geo-targeted location, we can’t really say there is a link between heavy cannabis use and depression. Let me explain why. Your perception of reality is completely subjective. There is no measuring tool to know exactly how you “perceive” reality. Therefore, calculating the intensity of the emotion becomes impossible. Seeing that the emotional response of any particular event is subjective to the perceptive filters of the individual; is diluting the individual experience into a numerical value based on the collective response an indicator of correlation? Statistics merely show a pattern of commonality within the group that is being “studied”. Outside of this group, statistics cannot be taken as fact. If “Factor-A” is true in Group A, it doesn’t necessarily mean it will be true in Group B. To put it into perspective. Let’s imagine two people experience the same event. Depending on the direct impact of the experience on the person [Did they get hurt, did someone they love get hurt etc. ], the negative emotion associated with the experience is either stronger or weaker. Then, if we factor in how the individual was raised, their emotional state at the time of the experience and a slew of other factors, creating a measuring tool for “how long someone should hold onto the negative emotion” becomes impossible to calculate. There is no time limit to how long a person must dwell on a past event. Your individual character defines that and no matter how many tests they conduct, the individual character is not defined by statistics. Fortunately, this question was answered in a study conducted by BDS Analytics which analyzed the overall feeling of satisfaction and success between cannabis users and non cannabis users. What they found was that that 5 in 10 cannabis consumers claimed to be satisfied with their life whereas 4 in 10 non-users were satisfied. Does this mean that cannabis makes you happier? Of course not, it only means that the people who responded to the questionnaires feel that way. The point I’m trying to make here is that statistics are purely subjective. Some “studies” will find that cannabis users are less happy, whereas others will find that they are happier. The data can be swayed to fit the narrative and in most cases, this is exactly what happens. The two most known cannabinoids are both anti-depressants. THC as well as CBD have plenty of benefits, one of them being that they both have anti-depressant qualities. Furthermore, they found that cannabis helps break the negative emotional cycles of PTSD, where a sufferer would loop a negative memory in their minds repeatedly. Cannabis acted as a suppressor of the loop itself, allowing the individual to break free from the cycle. If this were true in PTSD, why wouldn’t it be true in other negative emotions? Many users claim that cannabis helped them through hard times; it helped them overcome the obstacles in their paths. Perhaps, what this data suggests is that people with a pre-disposition to depression also prefers smoking cannabis to help with their symptoms. Of course, I didn’t conduct the study and I don’t know all the factors of the work, however I believe it’s irresponsible to claim that heavy cannabis use has a link to depression. Apart from the lack of data, the size of the study, the subjectivity of the questionnaire….studies in other fields suggest the opposite. For starters, we need to understand that statistics are not facts. Whether a particular group behaves in a certain way within a controlled setting has no real world validity, as the world is not a controlled environment. I do give props to the folks for studying cannabis, however I believe findings should be sat on until there is a definitive correlation between cannabis and the point of the study. Otherwise, you’re just fueling the misinformation campaign surrounding cannabis. 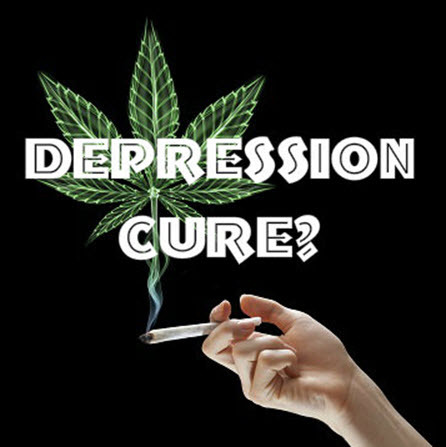 MEDICAL MARIJUANA FOR DEPRESSION, CLICK HERE. MARIJUNA STRAINS FOR DEPRESSION, CLICK HERE. 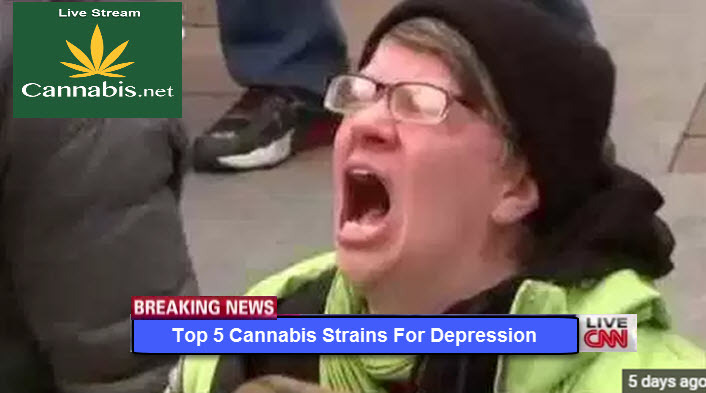 Cannabis, Causing, Depression, link, really”, There. Bookmark.